a true professional & a caring practitioner, Dr. Zhou is thorough & exacting in his care as well as supremely in tune with overall patient health & well-being; i don't know how he manages to treat so many lucky enough to be under his care, but i am gratefully indebted; thank you, Dr. Zhou! I saw Dr Zhou for two conditions - plantar fasciitis and bursitis in the hip. Both conditions lasted for about one year. Pain from both conditions gone after treatments with Dr Zhou. A very personalized experience delivering targeted treatment and positive results. I learned about Dr. Zhou years ago upon visiting Austin, long before moving here. Over the years, he has consistently helped me recover from a wide range of medical conditions. Today, I can say he is one reason I feel good about living in Austin. He is kind, efficient, effective. Dr. Zhou is compassionate and works miracles! He listens to the patient, evaluates, and comes up with a plan for treatment. I recommend seeing Dr. Zhou for anything from allergies to pain. He is a huge advocate for natural medicine. I’m really looking forward to going back! After my very first visit, I’m already noticing a difference in how I am feeling. There is a lot I could say about Dr Zhou. I've been going to his clinic for some time now. Everything from muscle aches to viruses to stress to helping me with my sleep. 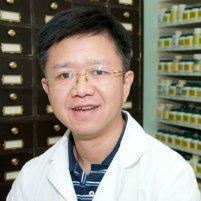 Dr Zhou is very knowledgeable and efficient. At times we even have a good laugh now and then. He cares about his patients. You may have doubts about acupuncture and herbs but I assure you Dr Zhou will change your thoughts on that. Its always a positive experience. Dr Zhou is my go to for anything I may have regarding my health. Dr Zhou is top notch, caring and whip smart. Lee Ann is cool as hell and easy to talk to. Excellent!! My neuropathy is so much better. Will be back in about 2 weeks after my next chemo treatment. So glad he was recommended. All acupuncturists are not created equally. Trust me. Dr. Zhou is the real deal. Wonderful to be treated by a caring health professional. The Dr took his time with me and answered all my questions. Already feeling better! Dr. Zhou was very thorough asking all the pertinent questions. He made sure I was comfortable while administering the treatment. Highly recommend him! I always feel great after my visit and will continue to come to him and he is such a nice Dr! Nice environment. Don’t have to wait too long. Very pleasant office staff. The doctor shows concern and wants to help so we can feel better. I am always afraid of needles, but frankly this accupuncturist is so good at what he does that the needles don’t hurt at all. My body feels much better. I strongly recommend you give it a try. Dr.Zhou is very patient and experienced!